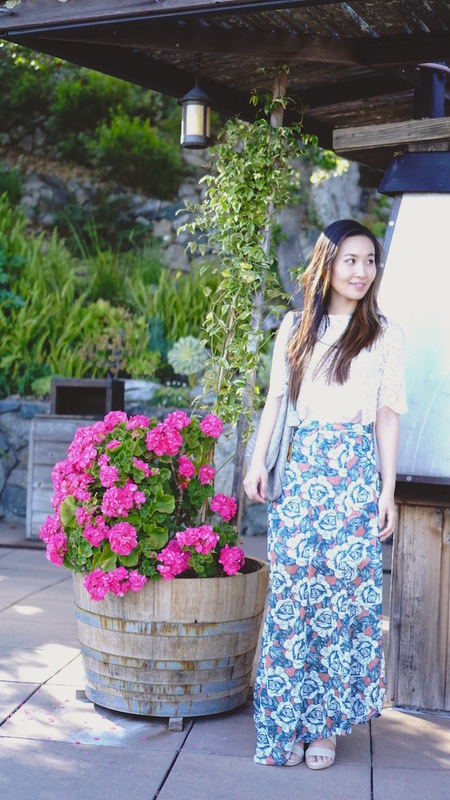 We went on a short drive to Big Sur for a relaxing weekend and I couldn't wait to finally bring my floral maxi dress out of storage! Although this dress is a bit long for me, I paired it with my Banana Republic wedge heels (which are very comfy) that gives enough height for it to not drag on the floor. 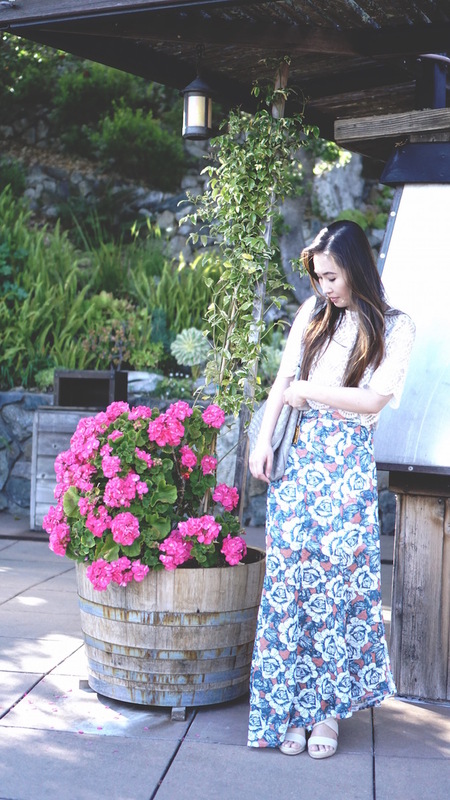 The lace crop top has been my go to for a casual yet sophisticated look for years.